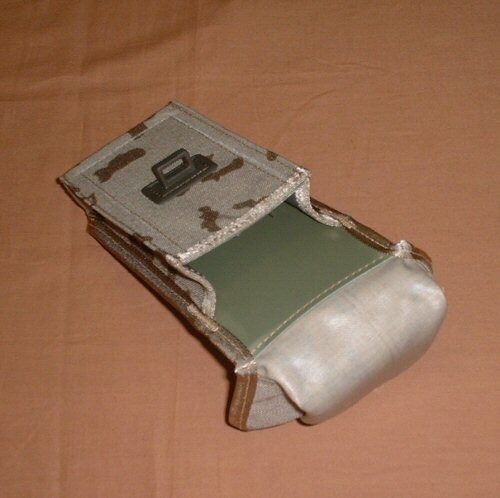 Military issue G36 magazine pouch with carrying capacity for one G36 magazine or smaller. Also useful for carrying 2 MP5 magazines side by side. Made of internally rubberised cordura material treated with IRR coating. Internally stabilised with long sheets of semi-rigid plastic reinforced by stitching on front and sides. 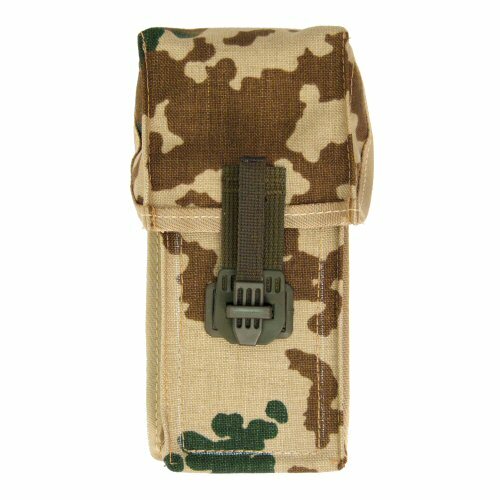 Trim and other internal features are neatly covered so as to minimise catching of G36 magazine lugs on inside of pouch. Closed in front with one Spanish fly-type plastic closer. German web adapter plate is rivetted on rear. Made in Germany. 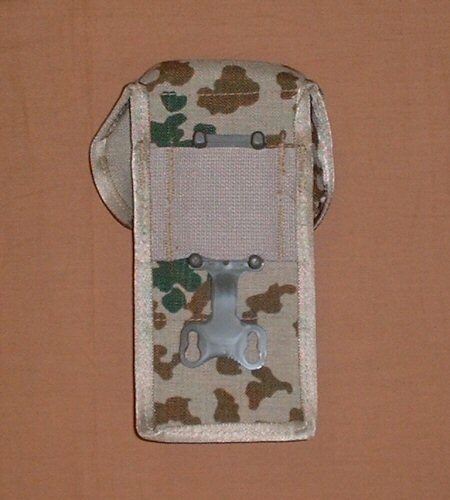 Angled view of pouch, showing the flap open and bent backwards. The plastic back is visible which helps to minimise snagging from the lugs on the G36 magazines.